When it comes to free iTunes DRM removal, most people would think of Requiem, a powerful iTunes DRM removal freeware to strip Apple FairPlay DRM from iTunes downloaded digital files. Requiem was once widely liked, but it has stopped upgrading since V4.1 was issued. Fortunately, new yet more powerful alternative DRM Removal always come to fill in this gap. What is Apple FairPlay DRM? FairPlay is a digital rights management (DRM) technology created by Apple Inc, which is mainly used to restrict the usage of iTunes digital contents, including movies, TV shows, music videos, music, apps, ebooks, and ect. In other words, FairPlay DRM is code added to digital files that restricts when and how those files can be played. With such DRM protection, many people wonder if there is an easy way to strip the DRM from Apple's iTunes downloads. Requiem emerged as required and gained quite a bit of popularity. Requiem is a DRM removal freeware which allows a person to decrypt music, movies, and e-books that they are authorized to play in iTunes. The compelling advantage of Requiem is that it is totally free of charge. And it is an all-in-one DRM removal which can work with almost all kinds of digital content downloaded in iTunes Store. What's more, it generates high-fidelity video files which are available for playing on any non-Apple devices, such as HTC, Samsung, Motorola, 4K TV, ect. However, freeware certainly has its limitations . So does Requiem. Since Requiem released, it faced an uphill battle with Apple. After years of back and forth battles with Apple, Requiem finally lost the war in late 2012 with the release of iTunes 11 and eventually ended up with V4.1, which can only work with iTunes 10.7 or earlier. Besides that, Requiem is limited from removing DRM from iTunes rentals. If you want to download Requiem, you can refer to Top 3 DRM Removal Freeware. Requiem is on the decline, is there any alternative DRM removal to strip iTunes DRM? Here we introduce two ideal alternatives to help you remove FairPlay DRM from both rented and purchased videos and iTunes music on the latest version of iTunes. Requiem is the most powerful DRM removal freeware, and it is difficult to find another similar freeware to help you bypass iTunes DRM. Under such situation, why not choose a shareware to enjoy better service? NoteBurner iTunes DRM Removal is an excellent Requiem alternative to remove FairPlay DRM. Compared with Requiem, it succeeds in removing DRM from both iTunes rental and purchased videos, and being perfectly compatible with the latest version of iTunes and OS. Now, let's learn more about NoteBurner iTunes DRM Removal. There are many similar DRM removal in the market to remove iTunes DRM, many people would wonder why choose NoteBurner as the best alternative DRM removal to Requiem. 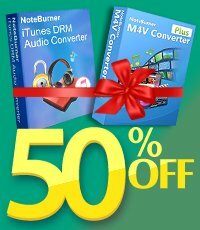 NoteBurner iTunes DRM Removal adopts a unique DRM decryption technique which makes it the most outstanding iTunes DRM Removal in the market and leaves its competitors in the dust. Let's explore together the key features of NoteBurner iTunes DRM Removal. Both Windows version and Mac version are available. Remove FairPlay DRM from iTunes rented and purchased movies, TV shows & music videos. Keep multilingual subtitles and all audio tracks, including AC3 Dolby 5.1 Audio Track. Strip DRM form iTunes videos at 20 times faster speed with 100% lossless quality. Convert iTunes M4V videos to multiple video & audio formats, like MP4, MOV, AVI, MP3, AAC, ect. Perfectly compatible with the latest version of iTunes and computer OS. When it comes to removing DRM from iTunes music, you will never miss NoteBurner iTunes DRM Audio Converter, a professioanl audio converter to remove DRM from iTunes M4P music, Apple Music songs and audiobooks. It is a second-to-none choice to pick as Requiem alternative to remove DRM from iTunes music, Now, let's know its main features. Available in Mac version and Windows version. Remove DRM from Apple Music songs, M4P music and audiobooks. Convert a batch of iTunes DRM-ed music to DRM-free MP3, AAC or WAV. Convert at 20X faster speed with lossless quality. Easy to use and keep all ID tagd and metadata.